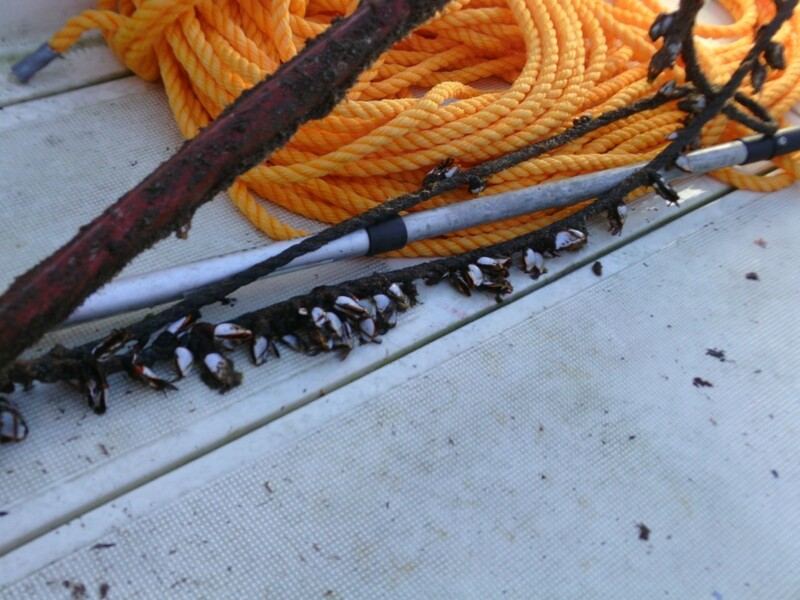 Adventures in Acoustic Telemetry – Ya Like Dags? One of the reasons posting has been so sparse lately is that I’ve been busy putting gear together, scheduling, breathlessly paying attention to the weather, and finally getting out on the water to work on the acoustic array off of Cape Hatteras. This array has been maintained by grad students from the Rulifson Lab at ECU since 2009. In addition to our own spiny dogfish, we’ve also picked up receivers deployed on sand tiger sharks, bull sharks, Atlantic sturgeon, and even great whites tagged in the waters of Cape Cod. This line of equipment provides some very interesting data, but deploying and maintaining it is not always easy. Cape Hatteras is well-known as the “graveyard of the Atlantic” for its ability to eat boats. The same geographic and meteorological quirks that make the Hatteras Bight so treacherous for boats also make it a brutal environment for scientific gear. 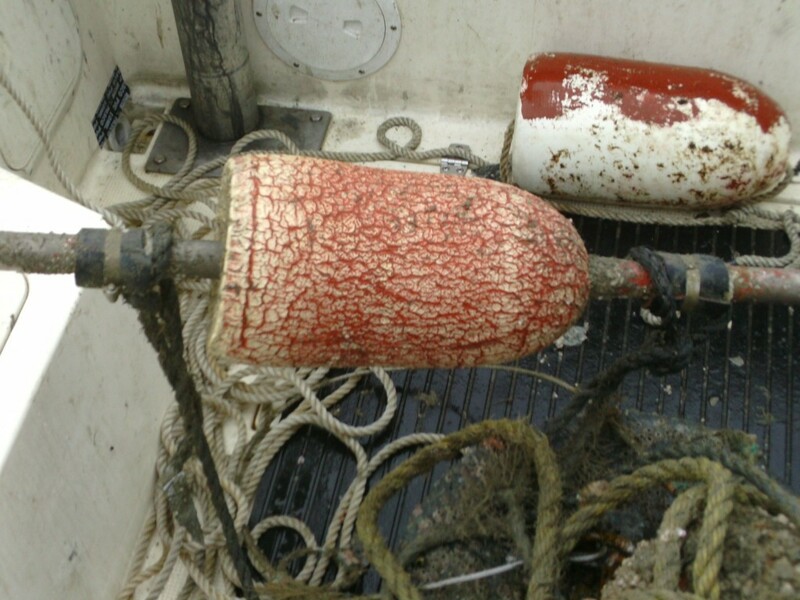 The high-flyer buoys and anchoring systems we use to keep the acoustic receivers in place are built to take some serious punishment, and still our rate of gear loss is much higher than we’d like. To make matters more interesting, the work involved in recovering the data and deploying the array requires lifting and manipulating heavy objects by boat. This means we need to wait for decent weather in order to safely accomplish a deployment. Anyone who’s ever worked around Hatteras will tell you that “decent weather” is very rare in that part of the ocean. On top of all that, our latest trips took place after a little storm named Sandy. 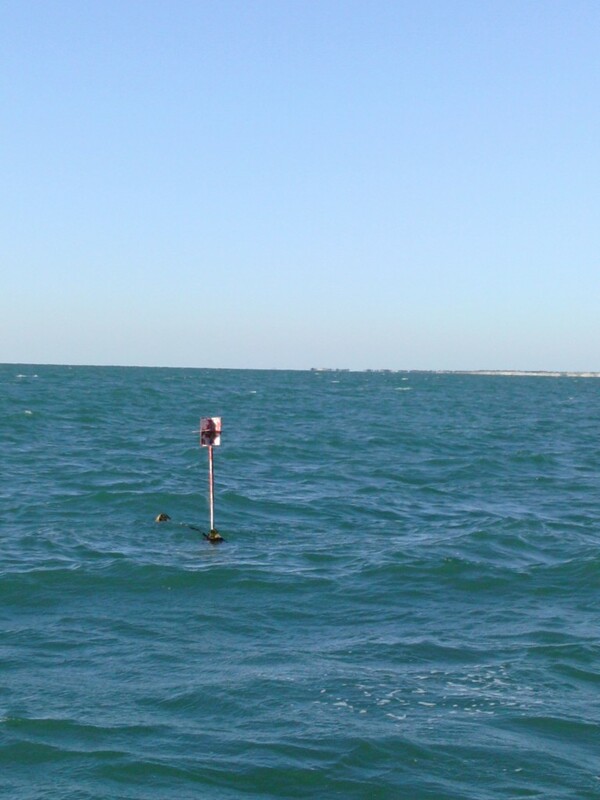 That’s the top of the high-flyer buoy poking out of the water. 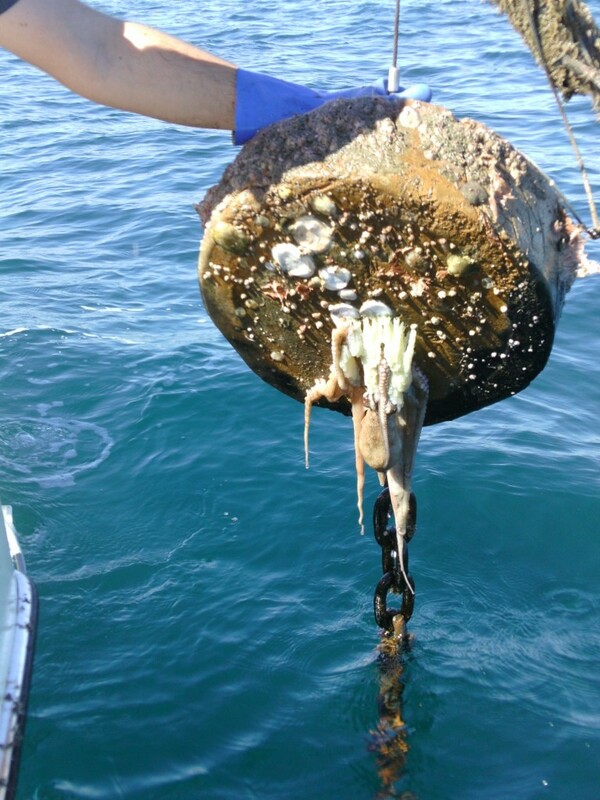 There are literally enough biofouling creatures on there to almost sink the entire buoy. 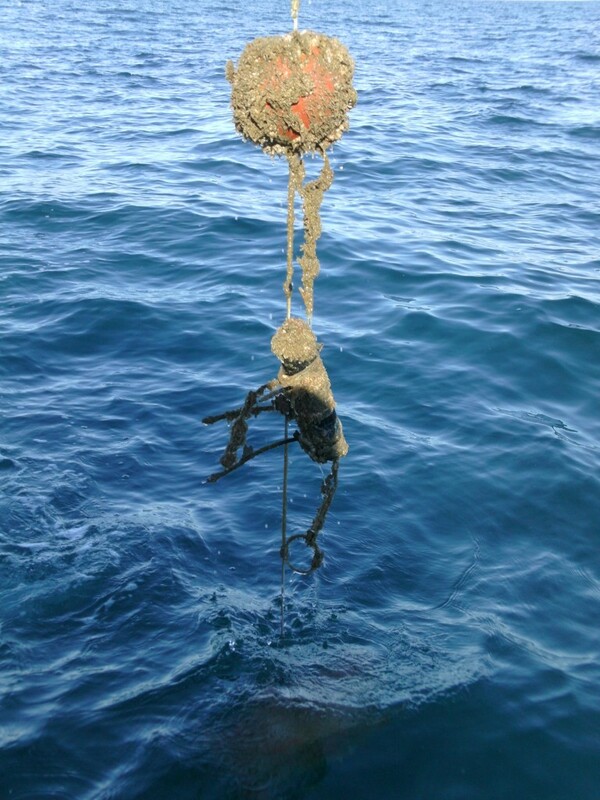 This is what one of the receivers looks like after 3-5 months under water. 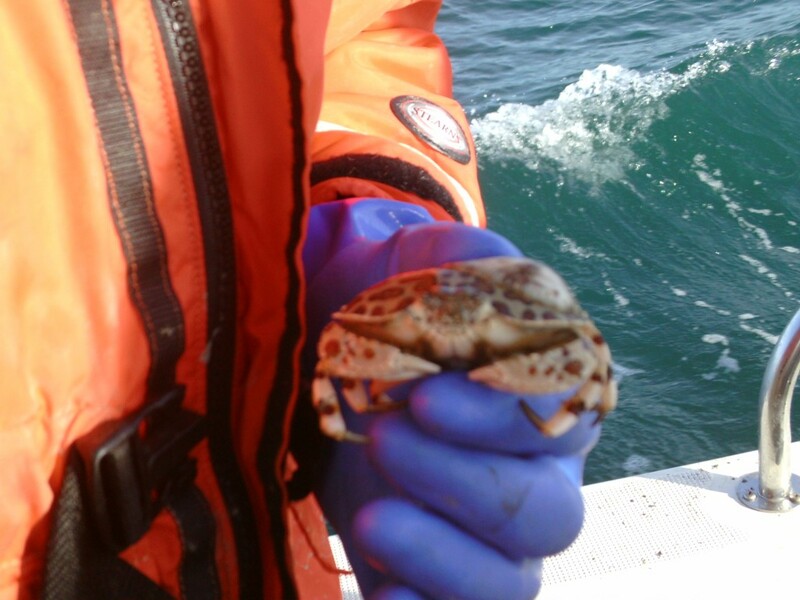 Not all the critters hanging out on our array are sessile. 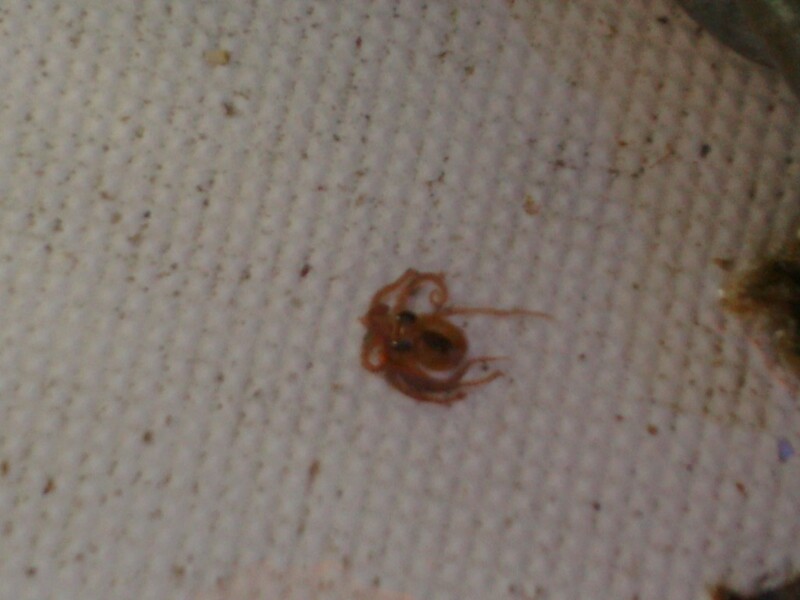 This adorable little bugger made a home in the weighted end of one of the high-flyers. This octopus managed to get under the concrete anchor and make a nest. I felt kind of bad about disrupting it. After Sandy, this high-flyer was battered but still standing strong. 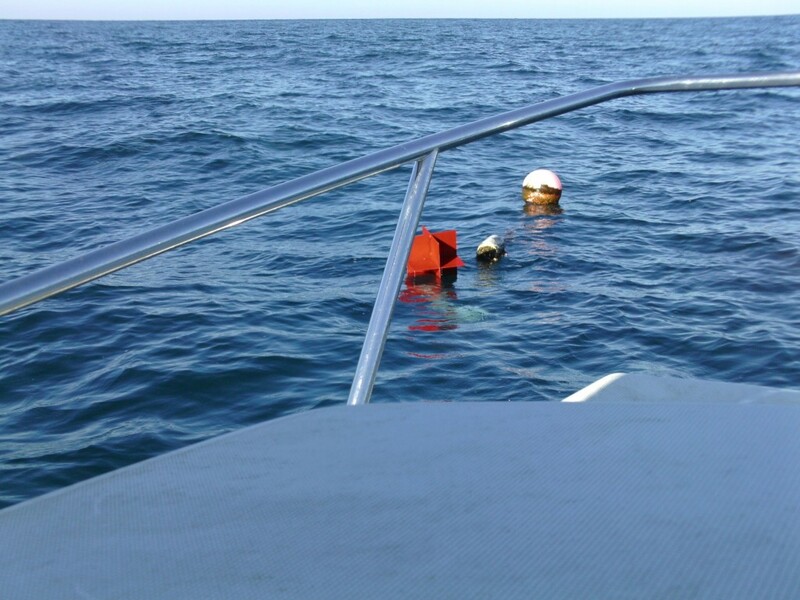 When the buoys break off, we have to send divers down to find the rest. Believe it or not, we usually do. It’s not just ocotpi moving in when our gear ends up on the bottom. If you look closely, this crab has a sea anemone for a hat. Note how this buoy looks crushed. We recovered this high-flyer off the bottom after Sandy. 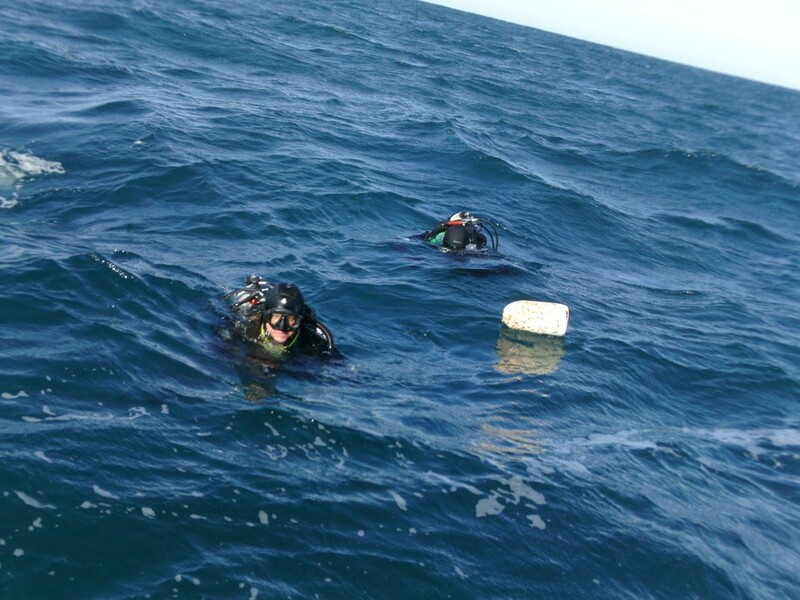 The hypothesis is that huge storm waves pulled the high-flyer under so fast that the pressure crushed the buoyancy out of the buoy. Never a dull moment off of Cape Hatteras. Pingback: Winter of the Shark: It Pays to Know People | Ya Like Dags?